We offer (Floor Equipment Warranty, and Repair service, Parts, Vacuum Filter Bags and Equipment Sales). Our rates are competitive, with no hidden fees or contracts. Our employees are friendly and will be there to help you every step of the way. Soco Floor Care Equipment Repair has been located in Colorado Springs since (2010). Combined 17 years repair experience to work for you. Need a New Backpack Vacuum? 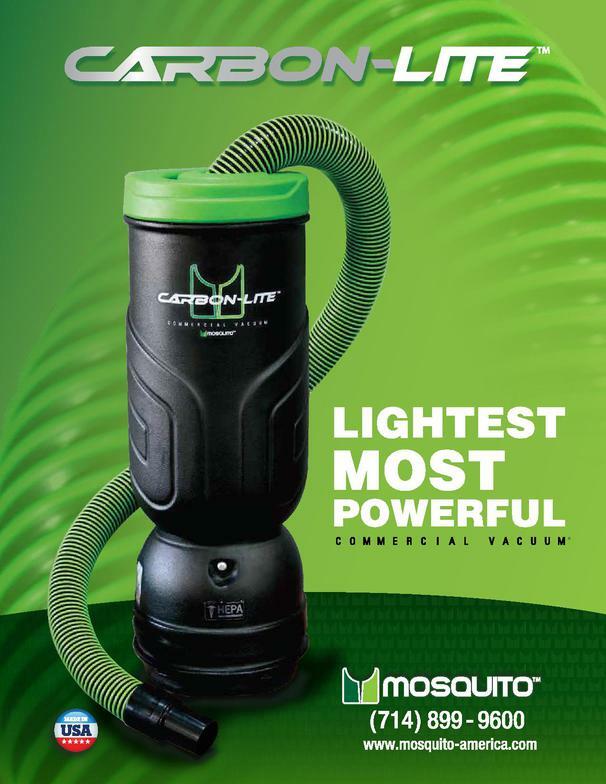 Check out this Mosquito Carbon-Lite Vacuum. Mosquito’s new Carbon-Lite™ is simply the lightest, most powerful commercial backpack vacuum available today. New exotic Poly Carbon™ material combined with the industry’s most powerful Pulse Power™ motor gives you unmatched performance. The Carbon-Lite™ is the beginning of a true revolution in industrial backpack vacuum design and performance. Furthering our commitment to quality our new Carbon-Lite™ boasts an impressive 88% of components made in the USA. Longest Warranty.